If you would like to commission a piece of painted fused glass artwork please get in touch using the contact button above. 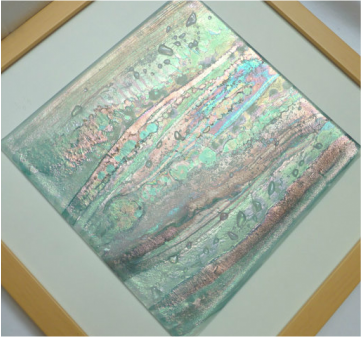 Celestial bodies is a series of handpainted fused glass pictures inspired by galaxies and outer space. 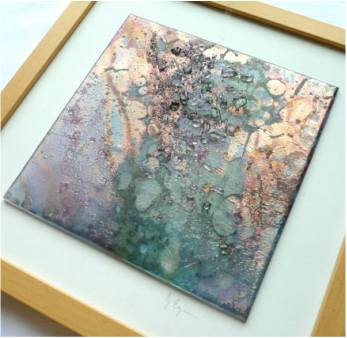 The nature of these art glass pictures means they are best hung opposite a light source, like a window, or an electric light source as this picks up the iridescence. The colours in the picture change depending on lighting conditions, each glass painting is unique.